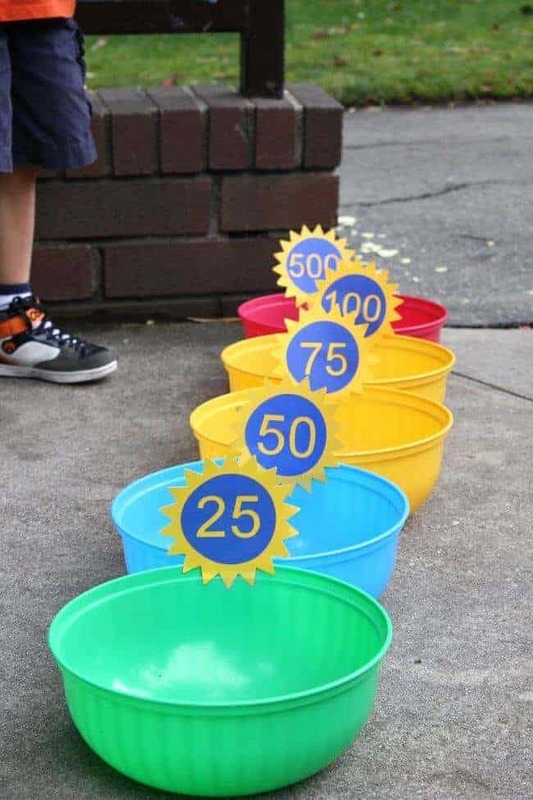 DIY Backyard Games – great activities for kids outside in the summer! Looking for something fun and non-tv or technology related, these easy DIY games will keep your kids busy all summer long! Looking to cool off from the summer heat? 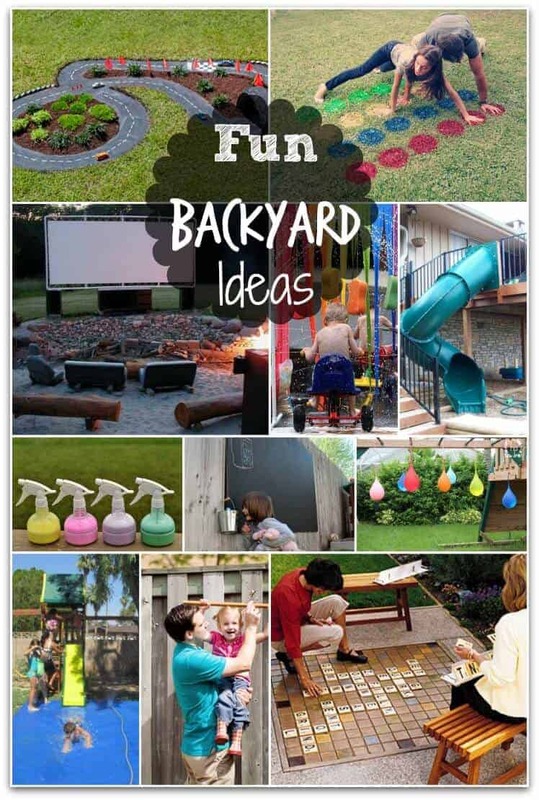 We love our DIY Backyard Water Park Ideas and we also have some really cool DIY garden ideas too! Summertime is all about enjoying the outdoors. We love hanging out in our backyard with friends. 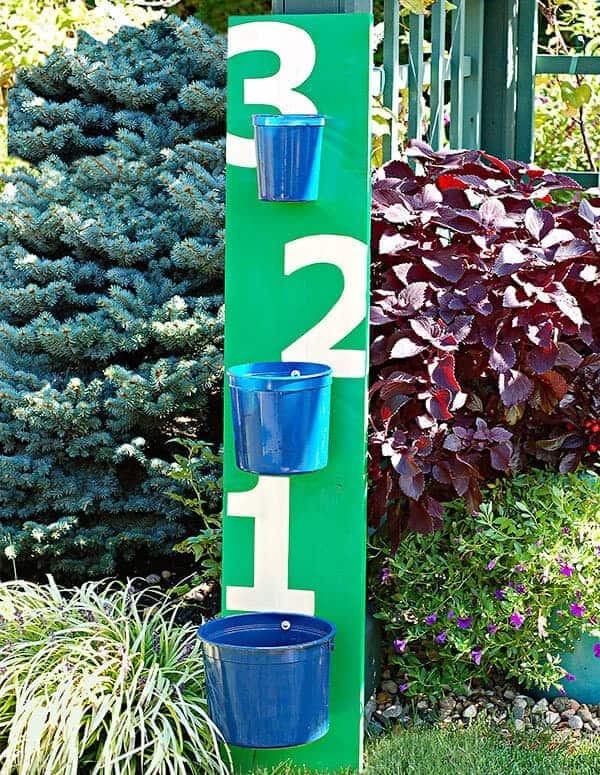 We are always looking for some fun and easy DIY Backyard Games and cannot wait to give some of these a try! 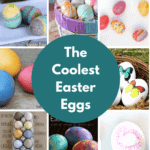 Granted, some are more involved DIYs than others, but they look like they would be well worth the time investment – especially if I have my husband do them!!! Is the outdoor weather not being cooperative? Take a few minutes and look at our Easy Indoor Activities for Kids – these may just save your sanity on those crappy rainy days! Yahtzee has always been a family favorite of ours, especially in the winter when we are looking to get off of the electronics! 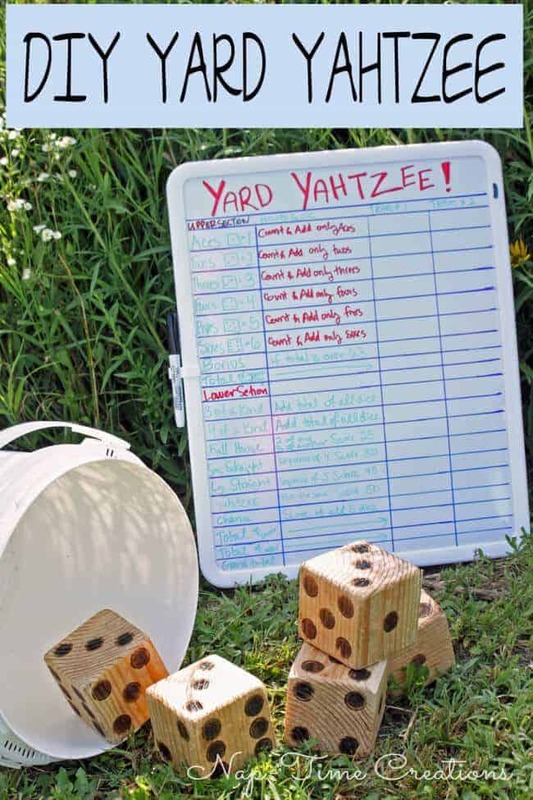 How fun is this DIY Giant Yahtzee game? Everything giant somehow seems to bring a new life into a classic family game! Don’t want to make the dice? No problem, you can actually (affiliate) giant checkers! 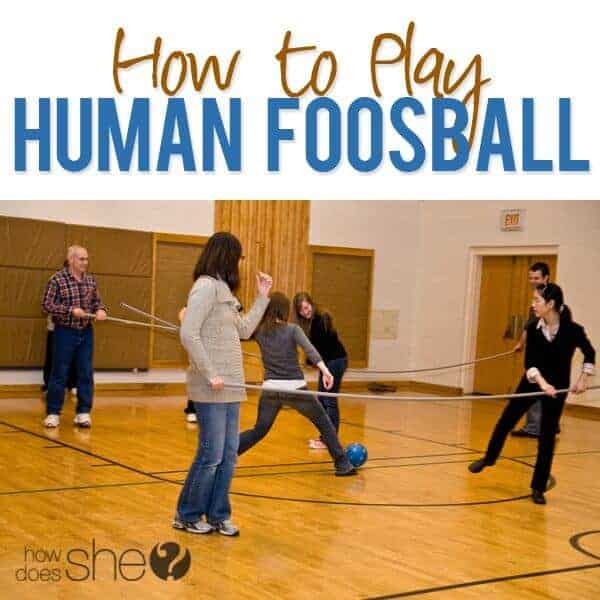 I know, the photo below shows this inside, but this human foosball game can be easily set up in your backyard! I know my kids would love to play this one with their friends on a hot summer day and then jump into the pool!! 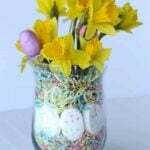 For those that are less crafty or handy, this one doesn’t seem so hard to pull off! This coming from someone that would have their dad or son make it for them! But seriously, a couple of buckets and some plywood and some paint is all you need! I know my kids would love it! Not so much the hammer and nails type? I hear ya, me either! This is perfect when you just need to get the kids out of the house and are over going to the park! 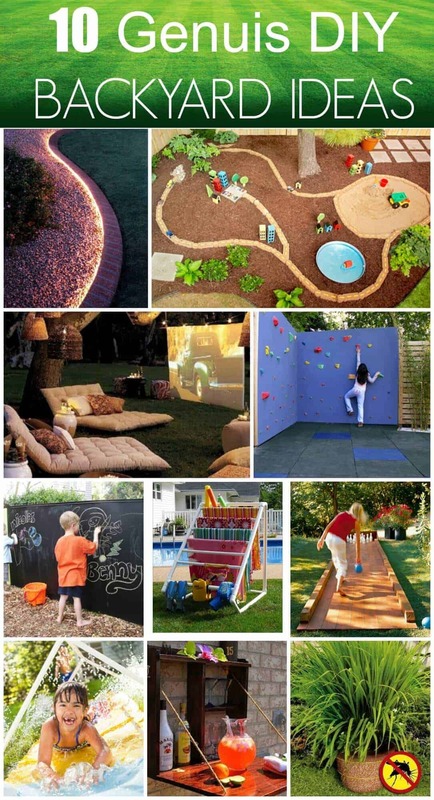 This outdoor obstacle course will really get your kids creativity going! Tell them they are spies and have to get to the bad guys without touching a rope. Or make up a story about them chasing pirates! Whatever you come up with, the story and course can be different every time! Sometimes I think Pool Noodles are the best thing ever, don’t you? There are so many fun things to do with them. Grab a few here or even from your local dollar store! 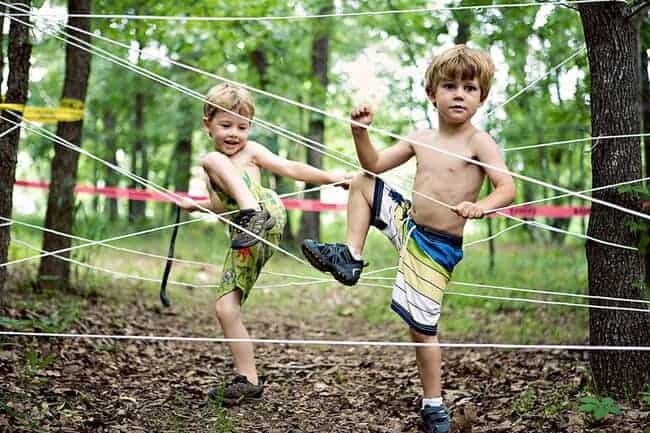 Once you have them, just connect them together with some strong tape and create your own outdoor obstacle course. 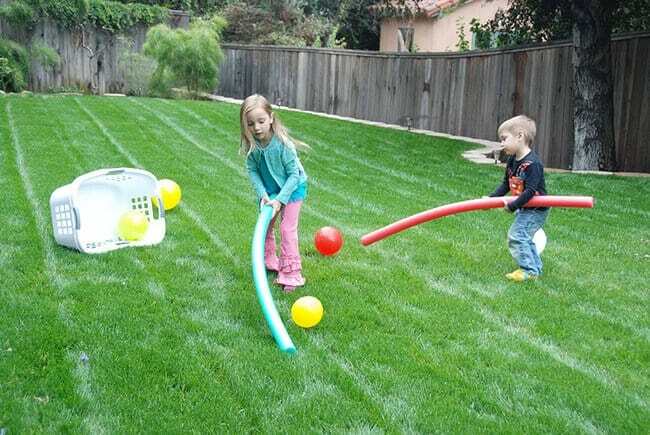 This will keep your kids active in the summer! While you are here, check out my Pool Noodle Flip Flop Wreath – the perfect outdoor decoration! Do you kids love to play with tools? Or, do they just love to break and hit things? Well, let’s divert what they are hitting (like a sibling). 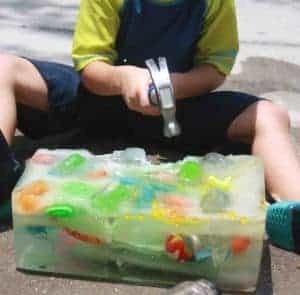 Grab a bunch of plastic toys from the dollar store, a large bucket or container and a whole lotta water and freeze it! I promise this will keep them occupied on the driveway for hours as they hunt for treasures. Once they have finished, collect the “treasures” and put them away for their next hunt! I love the ease of this outdoor game! All you need are some bowls from the dollar store, some bean bags (of course) and some hand made signs. Have the kids color and cut the signs for a rainy day activity and then you can use their creations to decorate and label them. This game can easily be brought indoors for a great indoor game as well! 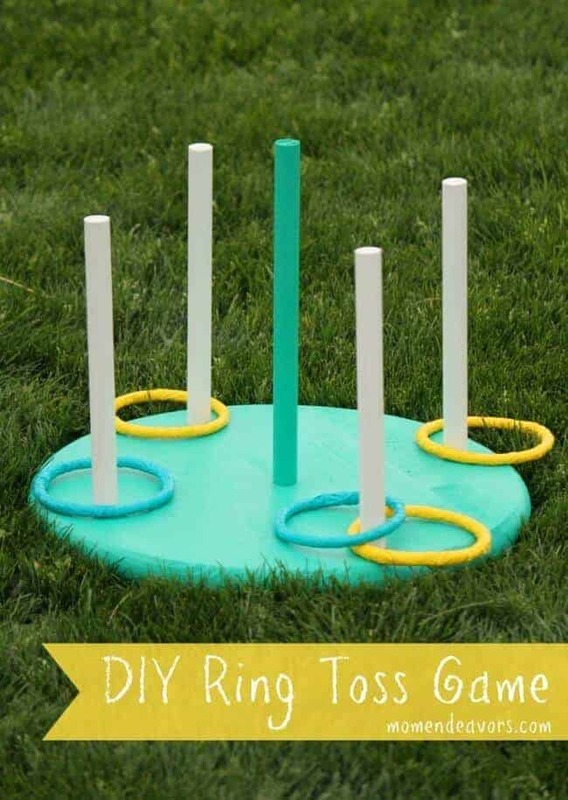 Ring toss is always a hit at a party or summer barbecue. This one is really easy to make and can provide hours of fun! 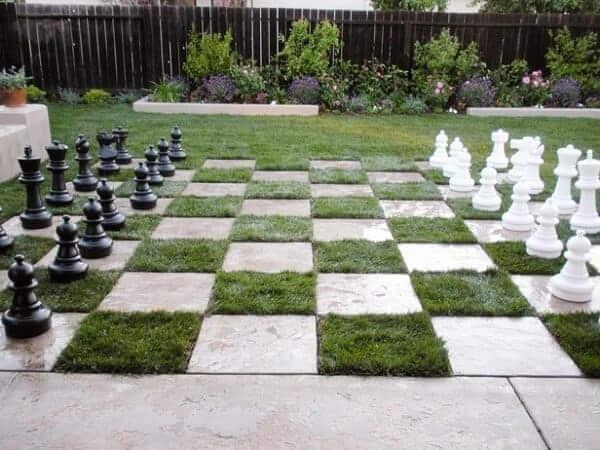 Okay, so this one is not exactly an easy DIY backyard game, but it sure would be cool! My kids love chess and for some reason whenever they see giant chess pieces, they cannot resist! The giant chess pieces can be purchased here, but if you are like me and have no clue how to play chess, you can swap the chess pieces for giant checkers! Not the handy type? No problem. 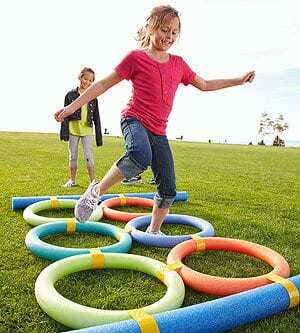 Here are some super fun outdoor games you can buy! All you have to do is set them up and start playing! Tiki Toss – My kids LOVE this game! Spikeball – My husband LOVES this game! These are fantastic! They are so easy, but seem like such fun! 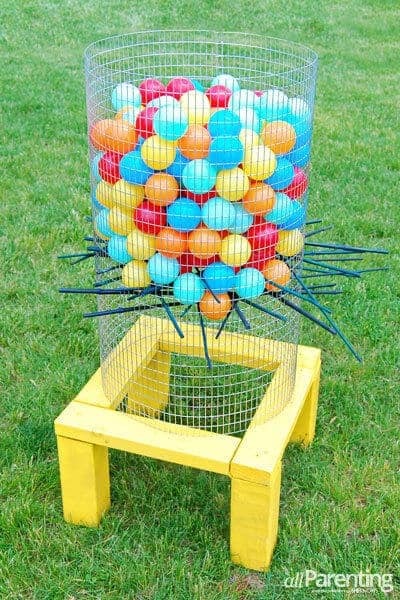 I just sent my husband the link for the kerplunk game with the caption: “Can you have this done by Saturday?” 🙂 Thanks for these frugal DIY ideas! I’m super excited to see what is in coming to my inbox. I love the ideas so far. These are great. I’m going to have to get out the pool noodles tonight for some field hockey. Although, my boys will probably just turn it into light-saber fighting. Fun times! Where can I find those chess pieces?